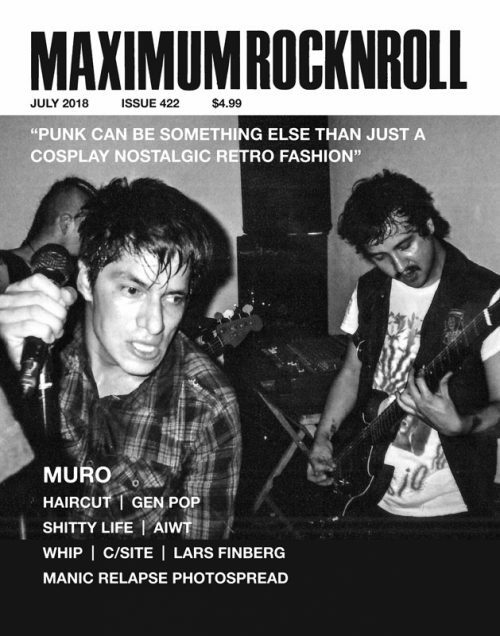 Maximum Rocknroll #404, the January 2017 issue is here! In light of the impending Trump presidency, we have a very useful guide to basic cybersecurity, revolutionary reading lists, Q&A’s from Transgress Fest, and more. We have photo spreads from Static Shock Fest and the current Mexico City punk scene, plus interviews with Copenhagen/worldwide queer art punks PRISON, Kansas City freaks PHANTOM HEAD, and everyone’s favorite Berlin-based phenomenon DIÄT. 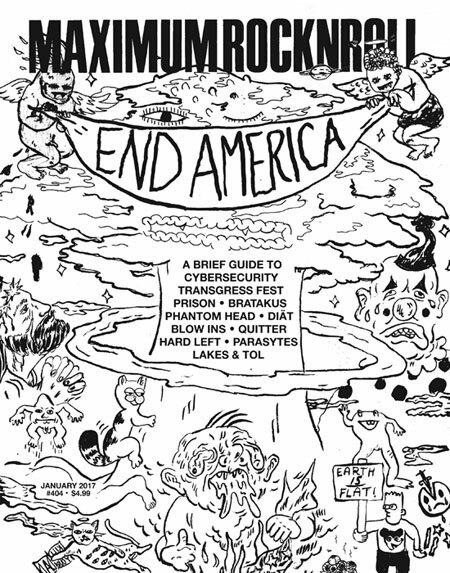 Dublin post-punkers the BLOW INS talk about carving out space for Polish punks in a new country, Baltimore’s QUITTER share the trials and tribulations of gas station food and sweaty jumpsuits, and Oakland’s HARD LEFT can’t decide if they are hard mod or utopian Oi! (maybe Turbo can help?). 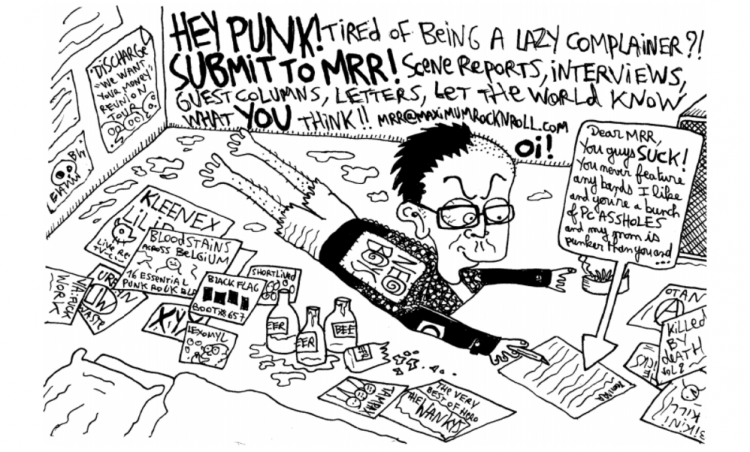 It all wraps up with Canadian raw punk band PARASYTES, a joint interview with LAKES and TOL (two Australian bands that share members), and Scottish vegan straightedge riot grrrls BRATAKUS. Get it today! 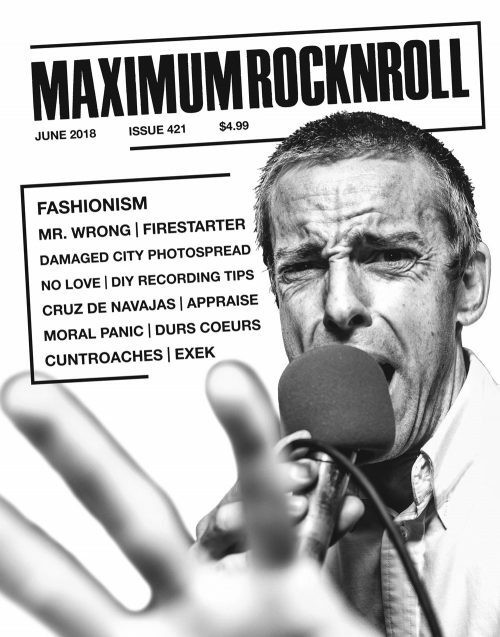 You can now download this issue of MRR for only $2.99! !